Last Monday, Alderman Bob Fioretti’s (2nd Ward) book drive began for Nancy B. Jefferson, an alternative CPS school serving youth ages 10-18 at the Cook County Juvenile Detention Center. Donations will be collected at Ald. Fioretti’s ward office at 1319 S. State St. Collection boxes can be picked up by volunteers. 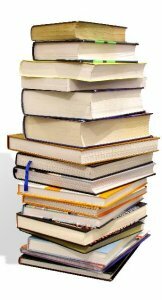 For a full listing of needed books, contact stacey.pfingsten@cityofchicago.org for more details. The book drive ends April 1st.